Can I download music from Apple Music to my computer? Apple Music is a streaming music service and all the songs are DRM-protected. Strictly speaking, we can never own the music that we listen to. We get access to Apple Music’s entire catalogue only within three-month free trial period or by paying monthly fee to subscribe the service. Once we cancel the subscription of Apple Music, we will lose access to all of the songs. But never say die. This tutorial is going to show you an easy and effective way to download music from Apple Music to PC. Apple Music adopted the access control technology – DRM, to restrict the distribution of copyrighted songs. In this way, Apple Music subscribers are limited to listen to Apple Music with Apple Music App by paying the subscription fee every month. If you want to enjoy Apple Music without any limits or keep Apple Music playable after cancelling the subscription, the essential step is to remove DRM from Apple Music. 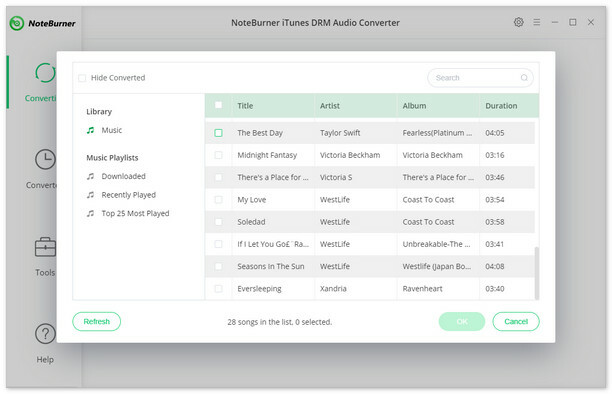 Next we will introduce a powerful Apple Music DRM removal tool – NoteBurner Apple Music Converter and guide you on how to download music from Apple Music to PC with it step by step. 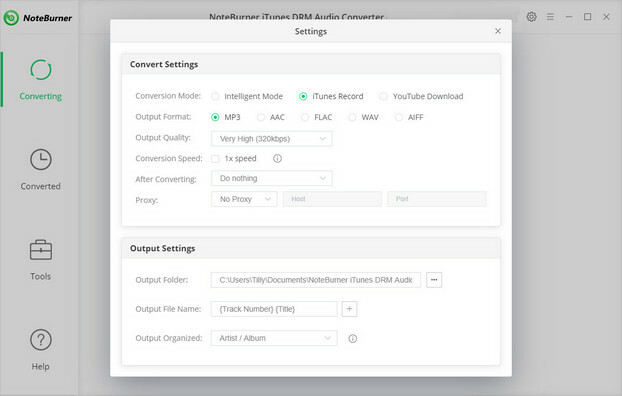 NoteBurner iTunes DRM Audio Converter is well-known for its’ all-in-one functions of Apple Music Converter, Audiobook Converter and iTunes M4P Converter. To make it short, NoteBurner fans usually name it NoteBurner Apple Music Converter while those who apply the program to convert audiobooks may name it NoteBurner Audiobook Converter as well. But anyway, it’s a popular and well-recognized DRM killer for Apple Music and iTunes audio files. For years, NoteBurner has got respetable users and gained great reputation from NoteBurner fans for its' lifelong free updates and excellent after-sales service. NoteBurner Apple Music Converter supports both Windows and Mac OS. The following guide takes Windows system as an example to explicitly explain how to download music from Apple Music to PC with the program. For Mac user, please refer to How to Download Apple Music to Macbook for more details. Launch the program. Click button "+" on the upper left. 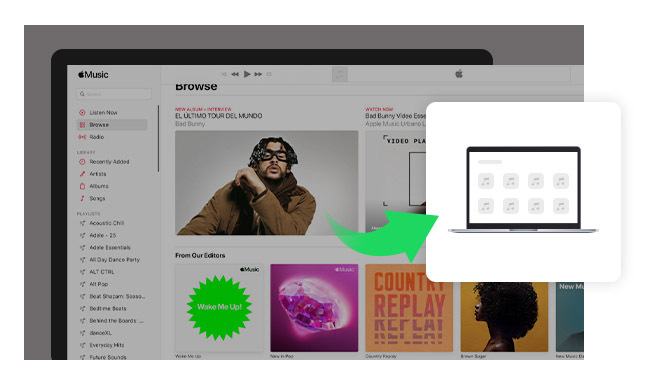 A pop-up window will show you all your Apple Music downloaded in your iTunes Library. Choose the songs that you want to convert and then press OK. When the conversion is done, it means that you've successfully download your Apple Music to your PC. You can click the history button on the upper right or directly go to the output folder to find the converted Apple Music. Now that you've got downloaded Apple Music, you can enjoy Apple Music offline anywhere and anytime or transfer the songs to elsewhere.